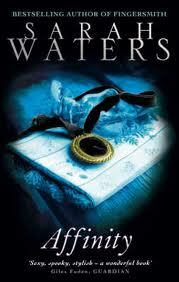 I have been meaning to read Sarah Waters for the longest time. I have borrowed her books from the library numerous times. Finally, this time, I am actually reading one! The teaser is the opening line of Chapter 1 and I think it is suitably teaser worthy! Pa used to say that any piece of history might be made into a tale: it was only a question of deciding where the tale began, and where it ended. That, he said, was all his skill. And perhaps, after all, the histories he dealt with were rather easy to sift like that, to divide up and classify - the great lives, the great works, each one of them neat and gleaming and complete, like metal letters in a box of type. It's like an alien world to me. Very interesting! Here is my teaser for this week. Nice. Now I'm probably the only one who hasn't read Sarah Waters. An insightful teaser here. I haven't read Sarah Waters either. Here's ours--we have 3 this week AND a giveaway! Much to think about in this teaser. Thanks for sharing. If you get a chance, mine is here. This is a book that Sandy convinced me that I need to read really soon. Not that it should be a problem, as I own all of Waters' books! The only one I have actually read is Fingersmith though! At times I thought this one was a bit slow but it ended up blowing me away. Enjoy! This book is so fantastic. I read it last year and was thoroughly creeped out. Enjoy!